There are some interesting connections between Elvis Presley, comics, and Stan Lee. The Marvel Comics onetime editor-in-chief and later publisher died in Los Angeles at the age of 95 on November 12, 2018. Stanley “Stan Lee” Lieber was born December 28, 1922. During his early days at Marvel Stan created or co-created characters like Spider-Man, the Hulk, the X-Men and Daredevil. He was also co-writer of the early Iron Man and Ant-Man comic books. Stan started in the business in 1939 and drove the expansion of Marvel from a small independent publisher to the billion dollar corporation it is today. Disney paid $4 billion for the company in 2009. Lee married his wife Joan in 1947. She died in 2017 at age 95. Watch this video, where Elvis proclaims his love for comic book heroes. This is also a beautiful demonstration of how visualizing success was key for Elvis. Check out this Elvis tribute illustrated by some of comics top creators. In the year 2012, Elvis Presley tries somewhat humorously to get past heaven’s pearly gates in the teaser video for Stan Lee’s original short story, “Elvis.” Here it is: Elvis at the gates of heaven, a Stan Lee Cartoon! This was Wired’s premiere of the “Elvis” promotional video. The afterlife fantasy by comics legend Stan Lee was originally created as part of Liquid Comics’ hardcover anthology Graphic Elvis. The story became a component of the Graphic Elvis preview that hit comics stores as part of Free Comic Book Day 2012. 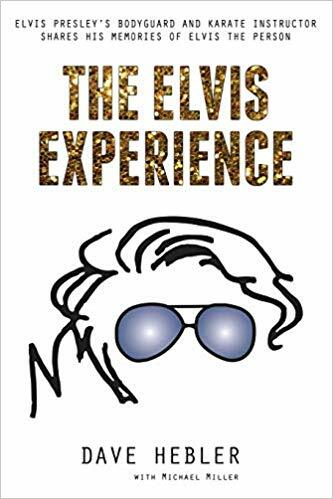 In addition to the physical book, an interactive digital and mobile app, entitled “Graphic Elvis: The Interactive Experience,” was also made available for $9.99. Commemorating the 35th anniversary in celebration of the life and legacy of Elvis Presley, the “Graphic Elvis” interactive app was an illustrated, interactive and animated homage to Elvis. It featured all of the content from the Graphic Elvis collectors book with bonus videos, animation and interactive features. On a side note, Elvis appears in 169 issues of various comic books, before and since his death. You can see him everywhere from Captain America to the The Sandman. – here’s a full list. Please beware that many depictions are not as flattering as Stan Lee’s.